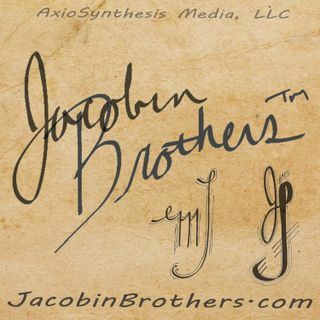 Jacobin Brothers™ are formerly estranged biological brothers who survived pre-cellphone childhood to talk about history, civics, social issues, and other germane topics of the day. Comprehensive views of an incomprehensive world. Episodes drop every Friday. Watch for falling objects. Truth and Other Lies™ assesses common wisdom and provides the 'twist' to usually understood (or misunderstood) topics – and sometimes the twist is there is no twist! Variety news and information show, including Today's Headline, Today in History, and Moment of Clarity.